The benefits of email marketing cannot be overstated. Email gives you the opportunity to directly reach your customer base whenever you want. And directly. It enables you to receive instant feedback and allows you to prepare follow-ups based on the actions (or inactions) and results of prior email campaigns. The problem is that everyone else knows how wonderful email marketing can be. That means customers are receiving emails from your company and your competitors, not to mention all of the other companies doing battle in industries unrelated to yours. For the recipient, it’s a lot to process, and many emails will find their way into the trash bin. How do you ensure that your emails get read? Here are some email marketing best practices to get noticed and produce results. Incorporate these into your promotional efforts, and your returns will soar. Think of the emails you get every day. What makes you open some and delete others? Why do some fall through cracks, while others are instantly acted upon? The first and most important step to any email marketing campaign is to be sure that the email list you are sending to has given your company permission to market to them. Did they opt-in to your newsletter or are you emailing to a “borrowed” list? Did they convert on a landing page of yours? If you are questioning at all whether the recipient may feel what you are sending them is email spam, don’t click send. People want messages from trusted sources that are tailored uniquely to them. If you agree the recipient has given you permission to market to them, then you’ve accomplished the trusted source part. But what about segmenting your massive email list into more personalized or behavioral based targeting? People want to feel like the company marketing to them cares about them, and is offering something they value. The ideal marketing email should be more like a conversation with an old friend than a one-sided blanket statement. And if you consider your daily routine of sorting through the good stuff in your inbox, you’ll better understand how to approach email from a business perspective. The more segmented, personalized, and targeted your email lists become, the more you will increase your open rate and click-through-rate while decreasing your unsubscribe rate. According to marketing research firm Knotice, there will be more commercial emails opened up via mobile devices than on standard computers. Therefore, one of the most critical email marketing best practices to adopt is making sure your emails are immaculate in both smartphone and desktop format. Brevity and conciseness is always important, but especially so in the era of smartphones. Also, don’t use attachments (mobile users may never see them) and make sure any graphics are useful and that they load quickly. Remember, the average smartphone user has dozens of apps, all of which contain ads that fight each other for attention. Make sure your emails stand out in this mass of advertising. Lastly, consider your subject line when optimizing for mobile users. General rules say to use 50 characters or less. When optimizing for mobile, consider that iPhones truncate subject lines at about 31 characters in portrait mode and about 54 characters in landscape mode. Android phones (depending on the model and operating system version) truncate subject lines even lower, at 24 in portrait but as high as 62 in landscape. If you have to make a speech, you’d rehearse it first, right? The same should go for your email marketing. People think of emails as disposable items, but the best ones are saved and shared. You should learn something from every email you send, but in reality, you should learn the biggest lessons before you roll out your full campaign. Test your subject line with an A/B test. Simply create two subject lines of and send two variations to only 10% of your email list. Analyze which has the best open and click-through rates and send the winner to the other 90% of the list. A/B testing of subject lines is always a good idea, and that’s especially true in an environment in which you can track virtually every action of the recipient. Most professional email clients will allow for testing these crucial elements of your emails. You’ll learn exactly what works (and what doesn’t) for all of your customer groups, theoretically creating the template for you to achieve sustained email marketing success. We discussed email marketing as a tool in relationship building earlier, but it bears further discussion because it’s so important. Your emails should always be based around building a relationship, whether it be through referencing a previous transaction or suggesting a new one. It’s just like everyday conversation. If you’ve already met someone, you shouldn’t have to reintroduce yourself; you should carry yourself like you already know them. The same is true in email marketing best practices. How can you act like someone’s buddy without being overly creepy? Think of ways that you can appeal to the customer in a unique way. One example is making suggestions based on information you already have, not unlike the way Amazon emails customers after they search for specific items on their website. Even if all you know is that someone downloaded a certain whitepaper from your site, that’s better than nothing. Use that information to build a meaningful dialog. Also, don’t forget to test using the name of the recipient in the subject line and email body. Remember, you want them to remember that they know you and care about you. While it’s nice to send out emails that are timely and relevant, the most important part of email marketing best practices is to get the recipient to take action. That means putting some urgency into your subject lines and calls-to-action. Make your emails are visually pleasing and easy to understand. Strategize your emails to make the recipient want to click through to find out more. 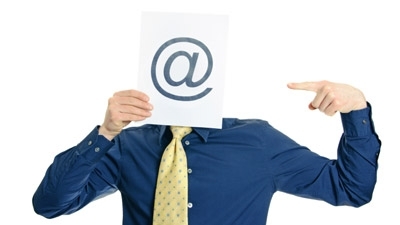 Think of how you perceive email, then use those ideas to make your own emails more appealing. We all play the inbox shuffle every day. It’s your job to find creative ways to make your emails stand out from the pack.